Since my diagnosis last February 2014, my biomed doctor has subjected me on pure supplementation. I would have a handful every after meals and some in between. I would also have Multivitamin IV drip which I do whenever my immune system gets low, around 50%. But I never actually had an actual cancer treatment protocol. For a year my condition was "manageable", not getting worse though not also getting significant improvement. My doctor and I were a bit worried because for cancer patients like me, "time is always of the essence." She prescribed that I start with the Rife Beam Ray protocol and gave the contact details of Mr. Romy Macapagal, the owner of the machine. Finally a cancer treatment protocol! I didn’t think it was available in the country! I was nervous... but ecstatic. I have read about treatments for advanced stage cancers, mind you there were many but it was the Rife Beam Ray protocol that caught my interest because maybe there is technicality and real science involve. What if an electronic device was invented that would destroy pathogens (parasites, bacteria, and even viruses) with no toxic side effects? What if that same device could wipe out cancer by altering the cancer's cellular environment or by killing cancer viruses with an electronic or ultra-sonic beam? 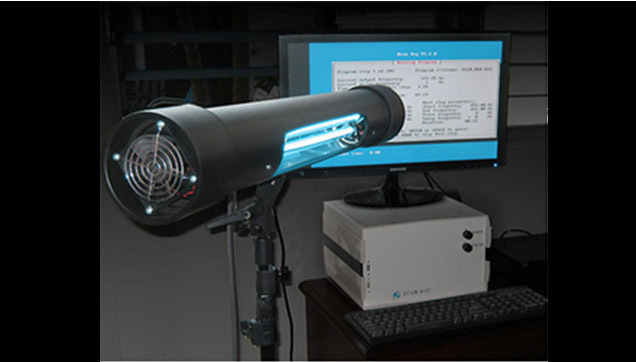 To give you a brief background, this technology was already accomplished years ago by Royal Raymond Rife, an American optics engineer who invented and perfected the Beam Ray device back in the 1920’s. The Beam Ray was similar to the concept of vibrational reciprocity in the sonic range. A simple example is when singers can shatter wine glasses by hitting and sustaining the right note. Rife discovered that microscopic pathogens have energy frequencies beyond the sonic range that, if induced, would cause the pathogen to implode or explode. He called these frequencies, Mortal Oscillatory Resonance or MOR. He was able to observe and record the MOR of many pathogens with a special microscope he also created. Rife was able to destroy bacteria by blasting them with electromagnetic waves oscillating at frequencies specific to each target organism. Rife has already cured significant numbers of people infected with a number of common but dangerous infections, including typhoid, salmonella and influenza. But his most controversial claim was that his device could kill the virus-like organisms, which he dubbed "BX", responsible for cancer. Rife and his team claimed to have cured 15 "hopeless" cancer patients after 60 days' treatment. 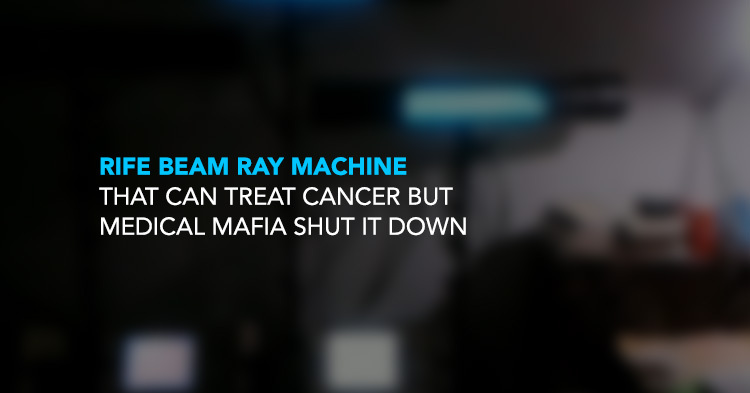 As any discovered cancer treatment, the Beam Ray also proved a threat to the medical mafia and Raymond Rife had his share of sudden and prolonged assault from FDA and the American Medical Association (AMA), who banned use of his beam ray to treat patients. For so many years, the technology has been “under the radar” to elude the controlling claws of the medical society. So you can expect that it’s hard to find clinics that offer this treatment or machines being sold in the market. I tried to search for clinics that offer the Rife and found one wellness center aside from Mr. Macapagal, who doesn’t have a clinic but a small room that accommodated three beam ray machines, a bed, sofa and chairs. Some cancer patients purchase the machines from the US so they can conveniently use these in their homes, but this ofcourse is very expensive and expect to be swarmed with problems with customs. According to Mr. Macapagal depending on the condition of the patient, the treatment is used 12 weeks or more. Normally, the patient should do the treatment everyday, 5 days a week. I has been using the Beam Ray for over a month now, 2 hours per session, twice a week. Standard duration per session is supposedly 3 hours according to Mr. Macapagal. However, I wasn’t able to handle the detoxification reactions when they made my second session to 3 hours. I experienced side effects and felt terrible so my session was affixed to 2 hours. After some series of sessions, I only felt minor side effects, but they were all worth the positive effects that the treatment was doing to my body. I was expelling the microbes/toxins from my body through – urine, stool, perspiration, phlegm, etc. It’s called a "healing crisis" (or a detox reaction) before you regain back good health. So far, my body is getting all the detoxification it needs. I’ve read that there is no single treatment that suits many cancer patients. I’m praying that this miracle machine works for me too.